Michael Greene is a DJ, music producer, and hip hop expert. He is a noted collector and curator based in New York City. He throws a weekly party in homage to the 45”record under the handle Operator Emz. Mobile Mondays! brings NYC’s vinyl rats together to celebrate everything from disco to garage, curated from the inside. Michael Greene grew up alongside hip hop, with the 70’s Bronx as backdrop. Graffiti claimed him pre-adolescence and he became Emz One, growing his street culture skill set throughout the 80’s in New York City and in Los Angeles. As a teen he cut his deejay teeth on college radio and learned the music business in the offices of some of hip hop’s elite movers and makers. After years on the business side of the music industry, Greene turned his focus to production and events. He produced records for Cyndi Lauper, MIA, and Joell Ortiz. He launched Mobile Mondays! and collaborates with artists like longtime friend John Stanier of Battles, playing events like the Silent Disco party at MoMA. Adidas asked Greene to help design the Adidas Pro Model for 2013, bringing his sneaker guru know-how to their operation in Berlin. 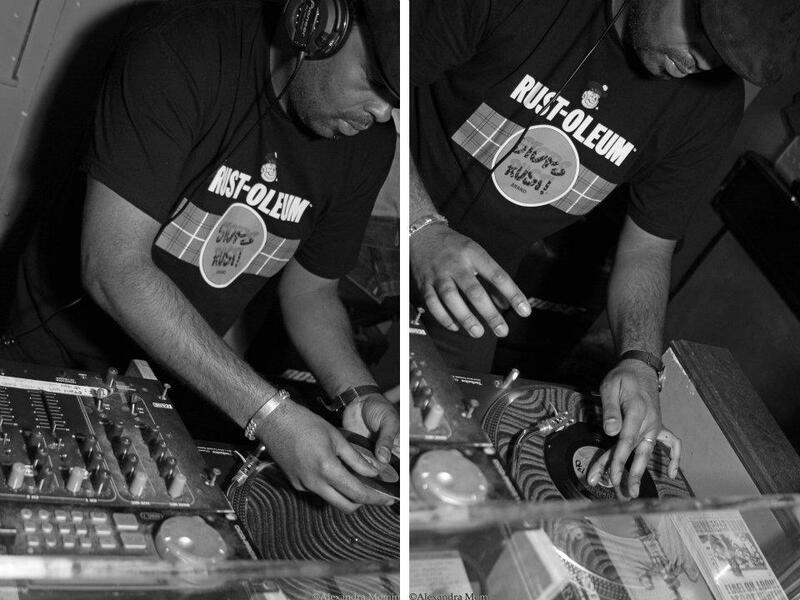 As a DJ, Greene has worked for Nike, Sony, Warner, Universal, and Absolut for events worldwide. As a curator, Michael Greene introduces underground classics to new audiences.